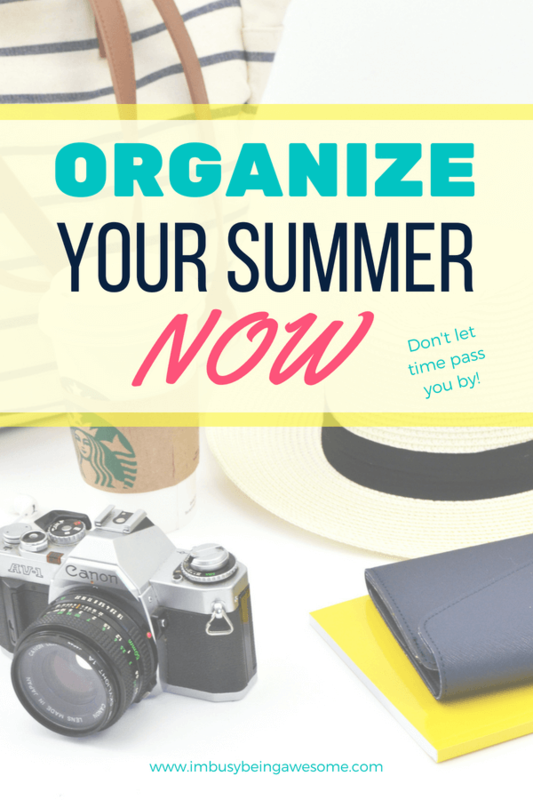 Over the past week, I’ve received a few different emails from readers looking for tips to organize their summer activities. Like it does for so many of us, summer snuck up quickly for these two busy ladies, and they’re seeking suggestions for easy summer day trips and activities. I can’t believe it’s already June and the kids are out of school in a week. Where did the time go? Lol. 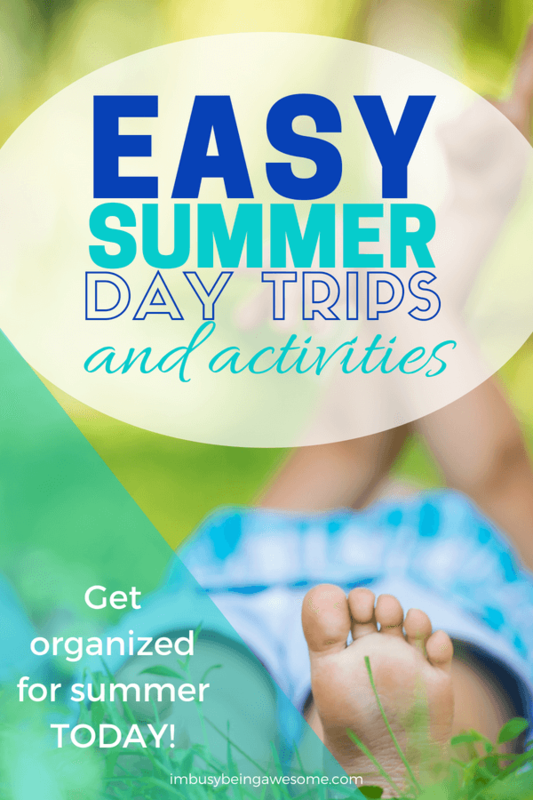 Do you have any tips to organize our summer activities? My girls are 7 and 10, and they’re very active. I’m looking for ways to create structure in their days now that they’re out of school. (Normally I have this planned, but this spring got away from me!) Do you have any suggestions? I work a regular 9-5, but in the summer, I switch to “flex” hours. That means I work longer hours Monday through Thursday, and I have Friday off (yay!). I’m wondering if you or your readers have any suggestions for what to do on my extra day off? I’d like to organize some day trips or weekend getaways that aren’t too expensive. I’d love any tips ya’ll have. Alright everyone, share your tips! Do you have any easy summer day trips for Sam? What are your suggestions for Carrie to help maintain structure during the summer months? Share your strategies below; thanks for your help! For easy going laid back day trips in the summer, I always do a park trip, often one a bit of a drive away and pack a lunch, swim suits if there is swimming. Our favorite day trip, for both myself and my boys, is to our local amusement park. We have season passes, so going only twice a year pays for the passes (ie. buying passes is cheaper than paying full price to go twice a year). So, we go about 6-7 times in the year to take full advantage. We bring our own lunch to make it cheaper and eat in in the grassy area of the parking lot. Best investment for family and friend time for the summer months! The zoo is my favorite day trip! Love this idea! I’ve seen some great stuff on Pinterest for setting a theme for a day of the week. Like Make Something Monday, Take a Trip Tuesday, Wet Wednesday… etc. My kids are in daycare over the summer still but I really like that idea for setting structure and helping to make plans. The local library is a great place to learn about things in the area. I knownours has passes to local attractions you can check out. A nearby farm to pick fruits and veggies is one of my favorite day trips to take with the kids. YES! I love those suggestions. Heading out to pick fresh fruits and veggies is such a fun idea. To maintain structure, make sure you have a chart or some rules in place before summer begins. LIke one – three jobs around the house and a work sheet done before play + screen time … For weekend trips, I would suggest, make sure you check your local blogs or local magazines. Have a fun summer. Hi! I don’t have kids but I know that growing up I have always enjoyed doing little things outside. I’ve also gone and grabbed a box of Cheerios from the store and fed the ducks! It can be a few hours of time and you can bring other fun things to do outside (frisbees, a ball). Hope this helps! What fun suggestions, Abbie. Thank you! Oh how fun! As for day trips, that might be kind of hard to figure out since I don’t know where she lives. I would look at places that are only about an hour from where you live – and then see what there is to do there. It doesn’t have to be anywhere big; sometimes just a different city/town is enjoyable! As for structure for kids – check into library events! There are usually a ton of free ones and that might give you something to do with the kids during the afternoons, etc. Or they can work on summer reading!